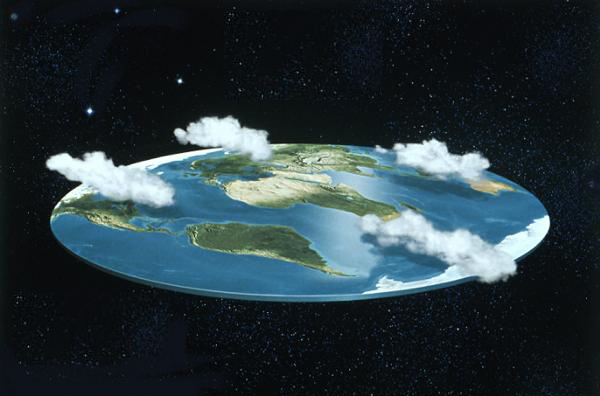 There was a point in human existence where we believed that the Earth was flat. There was nothing wrong with this belief, and given what the majority of the population knew was an acceptable fact. One of the main challenges with this theory was for sea faring folks that when one reached the edge that there was a possibility of going over the side, a frightening proposition. Since that point in history we have come to realize that the earth is round, and the concept of the curse of knowledge means that it is difficult to think of the earth in any other way once we know that fact. So too is the understanding of how well (or not so well) you deliver services to your customers each day. Today your organization may view your ability to provide service delivery from the perspective if IT. This means you rate of service on how quickly “tickets” are closed, or on how well the infrastructure appears to perform in terms of uptime, just to name a few. Is this any different than looking at the Earth as though it is flat? Think about this, stop looking at service delivery in IT terms as the sole method to understanding how ‘well’ you deliver service. Despite what your metrics tell you about how you are performing do you have dialogue with your customers on how they view your performance? What is the usability of the services you are providing? In some ways IT needs to get better at focusing on what your customers really want and need from them, rather than making assumptions. Taking the IT hat off for a moment and thinking like a customer we need to ask ourselves “why do we feel that it is acceptable to have less functionality at work than we expect at home?” This general feeling may not be that case for long. As I mentioned in my last post (Do you exist in IT Socialism) many customers in your business may have already begun to look for other solutions, in some cases they are already using something else. Start to discuss with your customers today about what is working well for them and what is not. In the beginning you don’t need to make this interaction overly complicated. In fact keeping the relationship simple will allow you to grow it appropriately. Don’t keep it a secret, get your teams involved to get the desired traction. Before long the interaction between IT and its customers will allow you identify areas for improvement, not only in service delivery but also with regards to internal IT processes. Far too long these assumptions or minimal discussions with the business have driven how IT delivered. No surprise that a gap exists on why we may not be meeting business outcomes. Understanding and having discussion points with your customers is the first and most important step. You will no longer worry about falling off the ledge of the flat IT Earth and will wonder how you ever managed before.